1. The kids spilled Kool-Aid on the sofa. It never fails. If you tell a kid to keep a drink off a sofa, the first place that drink goes is to the sofa. When the kids spill Kool-Aid or anything else on your favorite new or old sofa, our upholstery cleaner service can help you to make your sofa look brand new again. 2. The grout looks like its growing slime. Sometimes grout develops this slime that looks like it might be able to grow eyes and legs too. Gross! When this happens to you, just give TruRinse a call, we can take care of that slimy grout and help you to get your grout looking clean and healthy again… eye-growing slime be gone! 3. The dog tore a hole in the carpet. If there is one little rip in the carpet… your dog will find it and he will pull it from here to kingdom come. Don’t worry… we have all been there. When your little hidden hole in the carpet becomes a massive pull out job, don’t stress. Just give us a call and let us come over and get your carpet repaired so that it looks like new all over again. 4. Carpet cleaning… because, well – everything. Carpet can look clean and still reveal dirt when you look at the bottom of white socks. However, it can also just look plain dirty. Whatever your carpet’s story, TruRinse can make your carpet look company-ready any day of the week. So if your carpet looks like it is has had its day… it just need a makeover and we are just the team to make it beautiful again. 5. Your pet tinkled…a lot. We are pet people too. We get it. Sometimes your pet just cannot make it to the litter box or door to relieve himself. For stains like these, TruRinse is there to sanitize and clean the stains so that your home looks and smells as good as new. No matter where life has happened in your house, TruRinse is here to help. 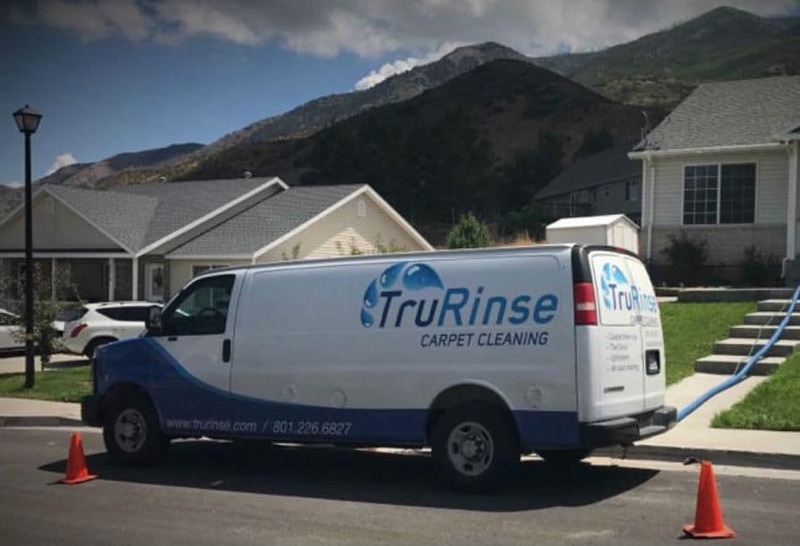 With a passion for what we do and a commitment to the families that we serve, we look forward to serving you and your family for years to come and making you a part of our TruRinse family.